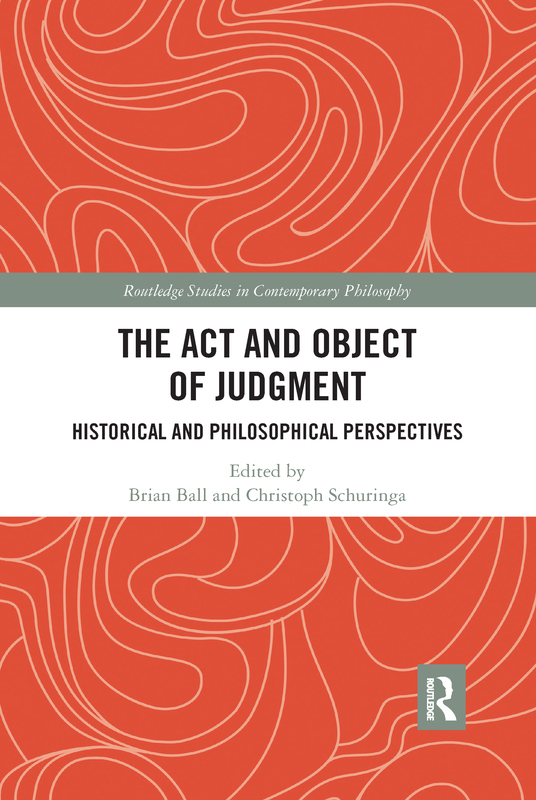 This book presents 12 original essays on historical and contemporary philosophical discussions of judgment. The central issues explored in this volume can be separated into two groups namely, those concerning the act and object of judgment. What kind of act is judgment? How is it related to a range of other mental acts, states, and dispositions? Where and how does assertive force enter in? Is there a distinct category of negative judgments, or are these simply judgments whose objects are negative? Concerning the object of judgment: How many objects are there of a given judgment? One, as on the dual relation theory of Frege and Moore? Or many as in Russell’s later multiple relation theory? If there is a single object, is it a proposition? And if so, is it a force-neutral, abstract entity that might equally figure as the object of a range of intentional attitudes? Or is it somehow constitutively tied to the act itself? These and related questions are approached from a variety of historical and contemporary perspectives. This book sheds new light on current controversies by drawing on the details of the distinct intellectual contexts in which previous philosophers’ positions about the nature of judgment were formulated. In turn, new directions in present-day research promise to raise novel interpretive prospects and challenges in the history of philosophy. How Is Logical Inference Possible?